Remember in early March, John Mueller hinted that the Change of Address Tool in Google Webmaster Tools would soon support subdomains? Then remember a couple weeks later, we reported that subdomain support was here? It was, but now, it is officially here. At least that is what Gary Illyes from Google told me on Twitter. 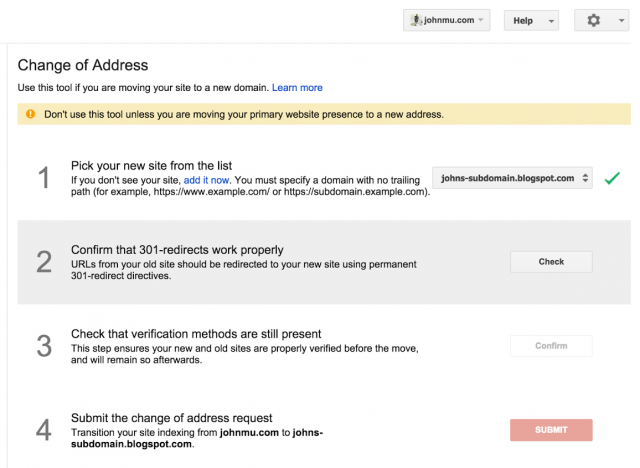 Google officially announced the new subdomain support last night on Google+ amongst other social channels saying "You can now use Change of Address in Webmaster Tools to move between subdomains, not just root domains." Either way, it's good to get the word out.